Color: Orange. 15" x 11" x 5". Water resistant polyester. 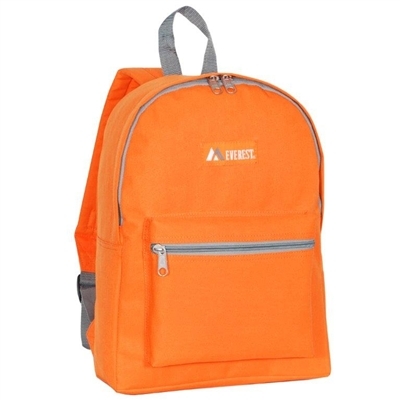 Front zippered pocket and padded shoulder straps.